On 19th and 20th December 2018, the Niveau S event took place in Brussels, Belgium. Niveau S is organised by the Federal Public Service of Home Affairs and the Vias Institute. 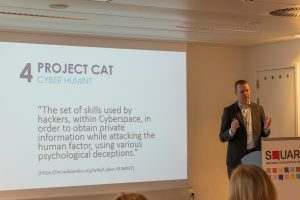 Volto Labs took part in this event by providing a workshop on Cyber Agent Technology (CAT) project in the Red-Light track on how disruptive technologies tackle criminal networks. 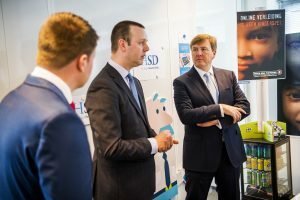 CEO Rens de Wolf spoke for an hour about the current positioning of Volto Labs at the HSD in The Hague, the impact of the precursor Sweetie 2.0, the Small Business Innovation Research (SBIR) competition in The Netherlands and of course the CAT innovation. More information on the CAT project is available here. 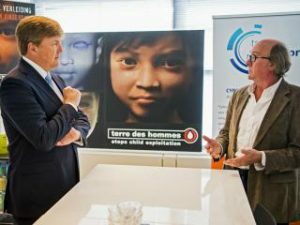 As one of the winners of the Small Business Innovation Research (SBIR) for Cyber Security tender, Volto Labs was invited to participate in the Cyber Security Week 2018 on the stand of The Hague Security Delta (HSD) together with RVO. At the event we showed the general ideas behind the Cyber Agent Technology (CAT) innovation to various interested parties.